Low Pressure Sodium lamps similar to the European SO/H style were also manufactured in the former USSR by the state-run lamp company, MELZ. They existed in 85W and 140W models and continued in production long after this type had been made obsolete in the rest of the world. It is not known precisely when their manufacture was abandoned in Russia, or whether or not that country ever developed the later Integral SOI or thin-film coated SOX versions. 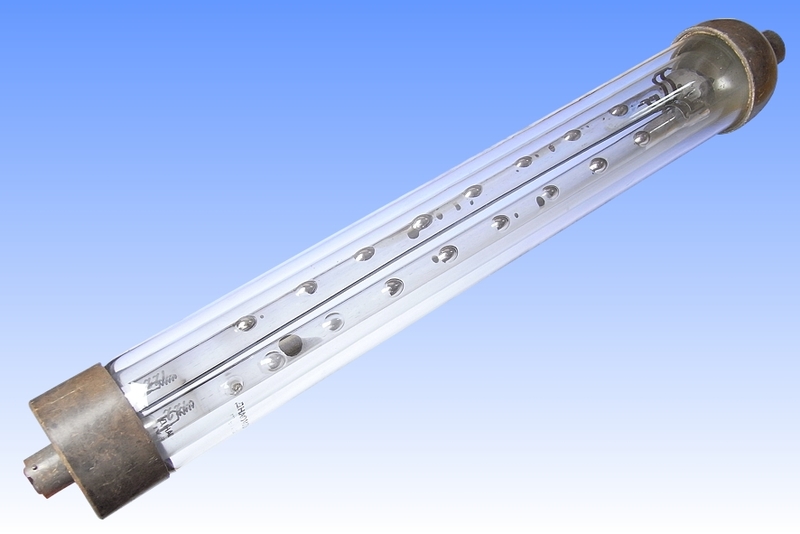 The electrode design is similar to standard low pressure sodium lamps, consisting of beehive shaped triple coils coated with an oxide emitter. These are welded onto leadwires which are sleeved in a layer of sodium resistant glass. 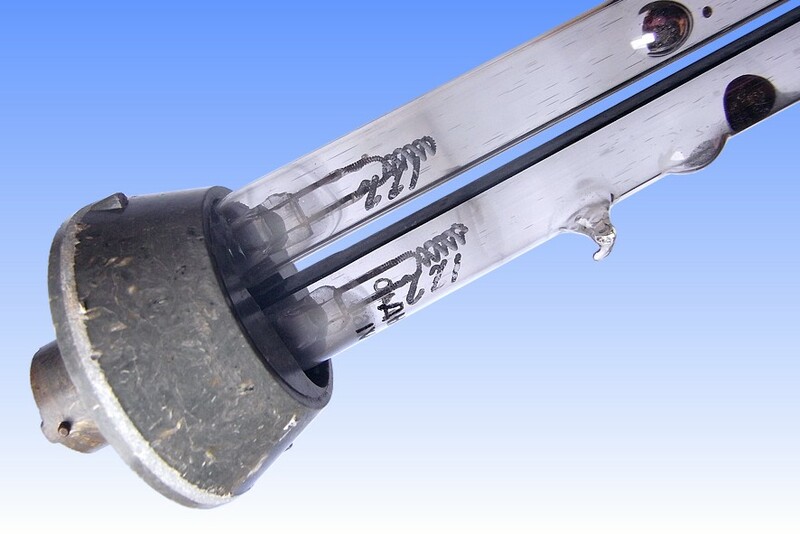 Judging from the colour of the glass-to-metal seals, it is suspected that they may be of tungsten and that this lamp therefore has a hard glass discharge tube. 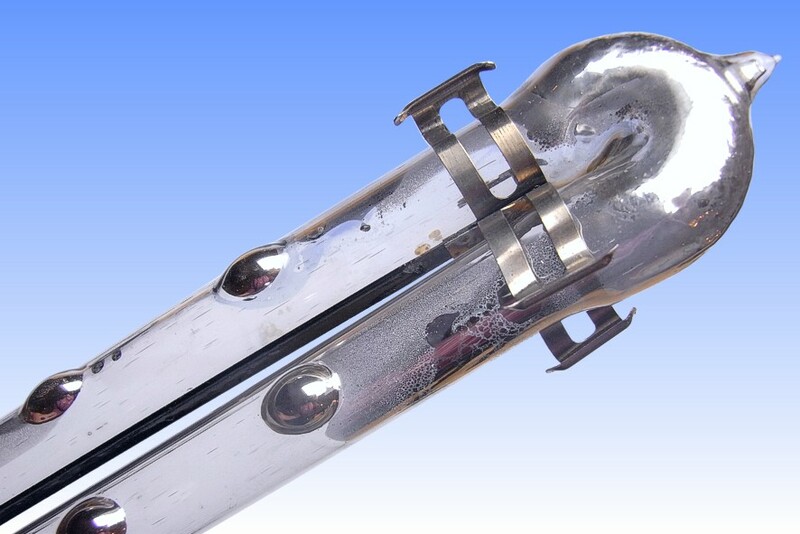 Rather than pinching the leadwires directly into the ends of the discharge tube, they are unusually sealed first into a conventional flared stem assembly which itself is then sealed to the ends of the discharge tube. It is unclear how this construction could be possible with all parts being made from sodium-resistant glass. Possibly ordinary borosilicate has been used, which may explain the short rated life of just 2000 hours. 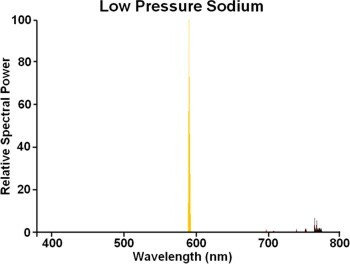 Dimples are present in the discharge tube side to retain the sodium, and are unusually all positioned on the same side of the discharge tube. This would imply that the Russian lamps were intended for burning with the limbs of the U-tube aligned horizontally rather than vertically. 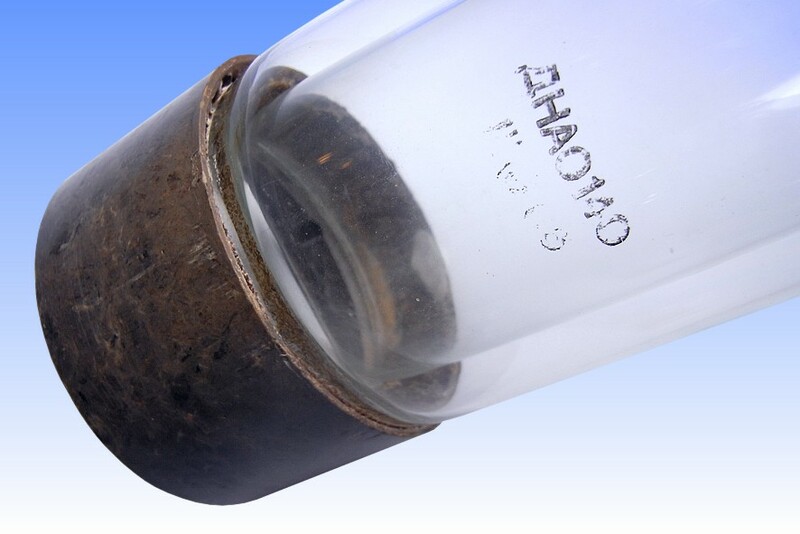 The discharge tube and dewar appear not to be intended for separation at end of life, they are held together with a circlip in the base that can be removed only with very great difficulty.